Mr. J. E. Reed was born of free parents in North Carolina, and knew nothing of slavery. He came to New Bedford, Mass., in 1878, where he attended school for two years; at the end of that time, in 1880, he secured employment as errand boy in Mr. G. F. Parlow’s photograph galleries of that city. Mr. Parlow found that the young man possessed very excellent qualities of mind, and as an evidence of his appreciation, asked him if he would like to learn photography. I need not add that Mr. Reed was only too glad to accept the offer. 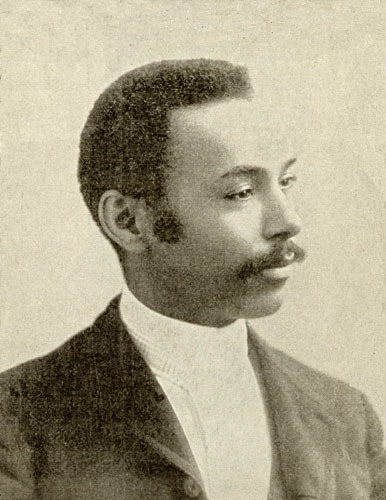 After mastering the profession he worked as an assistant to Mr. Parlow until 1888, when he formed a partnership with Mr. P. C. Headly, a young white man. The two young men bought out the gallery where Mr. Reed had learned his profession. This firm of Headly & Reed continued in business until 1895, when Mr. Reed bought out the interest of Mr. Headly. These young men were regarded as by far the best work-men in their line the city afforded. Their patrons were numbered among the very best people in New Bedford. To me, the most interesting phase of Mr. Reed’s work was his partnership with Mr. Headly, for I have always felt that one of the very best things that could be done, in solving what is called in this country the “Race question,” would be to bring white and colored men together in a business way, where they will have an opportunity to study each other as only those whose financial interests are blended can. I have no doubt but many comments, and doubtless unpleasant ones too, were made about the co-partnership of a white and colored man. But the fact that they succeeded, and won the respect and confidence of the best people in New Bedford, makes me hope we may hear of more such firms, in other parts of the country, for I am sure that it will prove helpful to both races to be brought more together in a business way. I can speak for Mr. Reed’s ability as an artist, having had work done in his gallery. I am also pleased to note that Mr. Reed is a very useful and energetic church and Sunday-school worker. In the 1870 census of Parkville, Perquimans County: John Reed, 33, wife Mary Adeline, 31, and sons William Henry, 8, and James Edward, 6. In the 1880 census of New Bedford, Bristol County, Massachusetts:on Sherman Street, John Reed, 45, carpenter, born Virginia; wife Mary A., 42, born NC; and sons James E., 16, and John, 7, both born in NC.